California Mortgage & Refinance | LoanSuperstore.com, Inc. Choose LoanSuperStore.com, Inc. as your Los Angeles based lender because we CLOSE a wide variety of purchase money and refinance loans, from the bread and butter 30 year fixed mortgages to the numerous mortgages that you can find out about by clicking the blue boxes above. We specialize in Los Angeles, Santa Barbara, San Diego, Ventura and Orange Counties and professionally serve all of California. 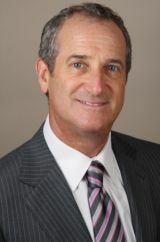 My name is Stanley Goodfriend and I’m the president of LoanSuperStore.com, Inc. I have been in the mortgage business since 1979! If you don’t see the loan that you are looking for described in these blue boxes above, call or email me as if it’s a lendable scenario, we most likely have the program. We lend throughout California. I look forward to personally discussing your loan request with you and leading you through the process. You can call me at any time to get up to the moment loan information. Click “Apply Now” to get started with our easy online application!